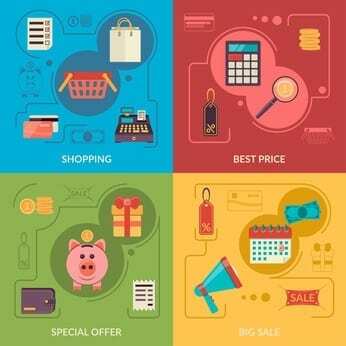 Not to be confused with product bundling, basket-based pricing is a smart tactic to entice visitors into buying more. It’s no secret that customers everywhere love a good bargain. Discounts, flash sales, coupons, cash-back and seasonal pricing are liberally used by retailers’ to increase footfalls/visits and thereby drive sales. The way basket-based pricing differs from product bundling is that the latter is restricted to a fixed set of products, while the former can drive sales across products and categories. This makes basket-based pricing a more potent promotional mechanism. How does basket-based pricing work? It’s quite simple, as a retailer you decide the discount you are willing to offer throughout the store or across categories. 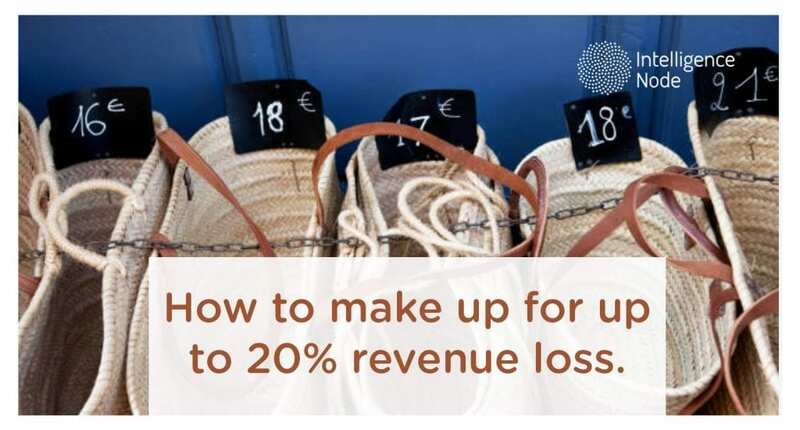 Let’s consider that you are a fashion retailer who wants to keep the basket-level discount fixed to 10%. You have a returning visitor who goes by the name Marc; Marc has a Super-Dry T-shirt in his wish-list. Marc browses through your catalogue and is happy to spot a pair of Diesel jeans worth $200 that is just right for him and adds it to his basket. Marc stands to save $25 on a total purchase of $250 by adding the T-shirt to his basket. The basket-based algorithm automatically assigns a 50% discount on the T-shirt since you want to keep the basket-level discount limited to 10%. With the discount, Marc’s basket size is now worth $225 as opposed to $250 without discount. The beauty of basket-based pricing is that it intelligently unlocks recommendations and discounts based on Marc’s purchasing and browsing history. As demonstrated above, basket-based pricing has the potential to give customers that extra nudge to buy more from you. This mechanism can work in tandem with your existing recommendation engine so that sales opportunities are optimized. This is a dynamic approach towards price-based promotions. Basket-based pricing works wonders for those who want to add an extra edge to their personalization efforts. It can sync-up with your visitors’ frequently viewed items, wish-lists and paired items so that personalized discount offers can be made. It’s a brilliant way of adding excitement to your customers’ shopping experience. They will be happy to receive discounts on items that are not listed for sale on your marketplace. It will make them feel special. Basket-based pricing can be customized so that sales for under-performing categories and sub-categories are improved. You may choose to recommend and apply discounts on items that need to be pushed aggressively to achieve minimal dead-stock situation. Likewise, items that give you good margins can also be promoted through basket-based pricing. Since e-commerce is synonymous with intense competition, basket-based pricing helps you to be competitive at all times. You can select brands and categories for which you always want to be a tad lower than your biggest competitors. Every time your customers add those products or browse through those categories, they will be alerted on the potential savings they can make by shopping from you as opposed to your competitors. Multi-brand retailers can take advantage of the fact that basket-based pricing can be harnessed to drive sales of most profitable brands. The algorithm can rank brands that give the best margins and accordingly recommend them in a prioritized manner. Going back to Marc’s example, if Levis was offering you a better margin on belts than any other brands then that’s the pop-up Marc would see.